A lord who is not at least an officer? Crud! I will fix the spelling when I get back home! Thanks! 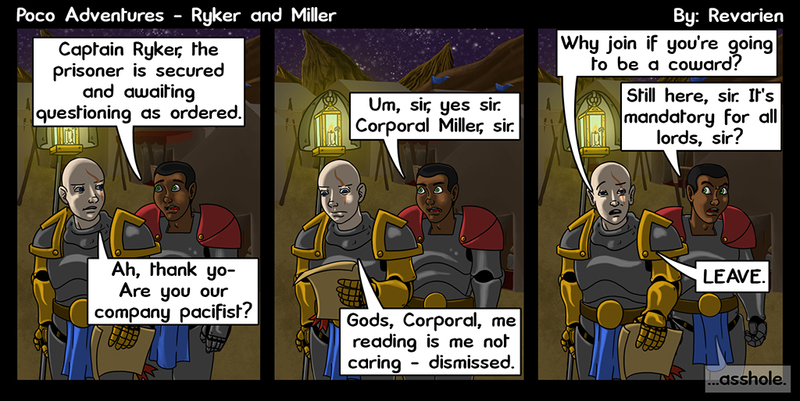 And yeah since Lords are forced to serve, if they select a non-combat role, they get whatever rank command wants to give them… sort of like a purposeful dishonor.